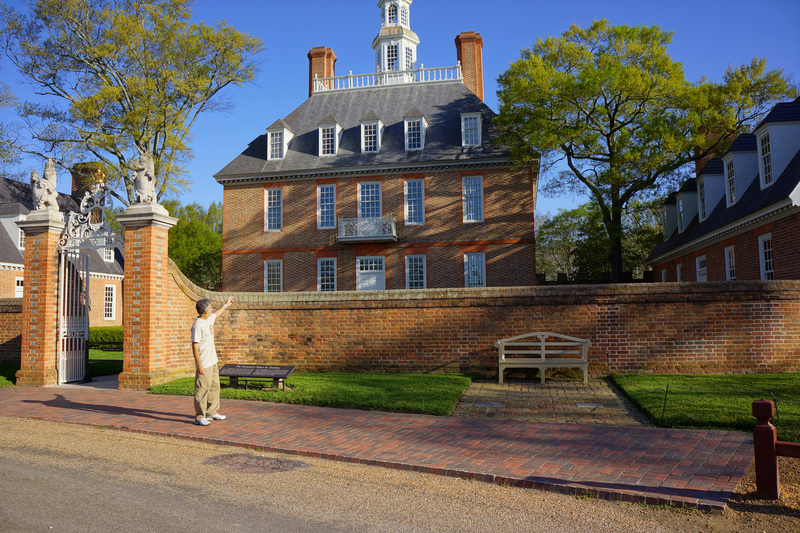 The picture above is of me standing outside of the Governor’s Palace in the nortwest section of the historical Williamsburg area. This was the home of the colony of Virginia’s Royal Governors (before Independence), and then home to famous Americans Patrick Henry and Thomas Jefferson. The picture is from the collection of photos and video clips I’ve gathered for the making of my Kickstarter project intro video. That’s the only thing standing between now and project launch, so I need to edit the visual content together. I’m still penning the text for voice-over narration to the video, so that will likely take me a few days. I hope to have the video complete by the end of the coming weekend so I can get the project off the ground! I used two cameras for the photography work: my Sony NEX-7 (primarily) and my Sony DSC-HX9v (mainly as a backup). They are both excellent small cameras, and I recently picked up the NEX-7 to replace my Canon 7D. I’ve been a long-time Canon fan, but I got tired of waiting for them to come out with a mirrorless camera offering. For my money, the Sony NEX-7 represented the best bang for the buck. Well, the proof is in the pudding, and the pictures I took of all the Williamsburg sites turned out extraordinarily well.